Bill Rigler, a 2017 candidate for Boulder City Council, is making his second run for elected office, and said a major difference between the 2015 candidate and “version 2017” is his recent greater engagement in Boulder civic life. “It (the 2015 election) taught me that, first and foremost, I needed to become more involved in the community in order to truly understand what were the economic and social and livability issues facing Boulder residents, and it encouraged me to get more involved,” said Rigler. He finished 11th in 2015, earning 5,644 votes, and since then became the chair of the city’s Transportation Advisory Board, was appointed to the city’s first ever Marijuana Advisory Panel, was appointed to serve on the Boulder Chamber of Commerce’s Community Affairs Council, and joined the board of the Boulder Ensemble Theatre Company. Rigler was born and raised in Billings, Montana—roughly the same size as Boulder with a population of 104,170, according to the 2010 census. While in Billings, he became an Eagle Scout, enjoyed camping, and played football, baseball and golf. He said public service “runs in my blood,” since his great-grandfather Sam Ford was the Governor of Montana (1941-49), while his grandfather Ted James was Lieutenant Governor of Montana (1965-69). He went on to earn a Bachelor’s degree in International Relations and a minor in Japanese from North Central College in Illinois, where he got involved with a Model United Nations Team which helped lead into a 15-year career in international relations. His experience included taking part in a Nobel Prize-winning effort to ban anti-personnel land mines in 1998; employment with the United Nations; and earning a Master’s degree in International Relations from Columbia University in New York City. “I was there (New York City) during 9/11 and also during the invasion of Iraq. Among all my fellow classmates, it affirmed for us that there was never a more important time to be really good at what we’re doing. So, it meant that we went to work for the CIA, or the Pentagon, or the State Department, or nonprofit agencies, with the goal of trying to make the world a better place,” said Rigler. In the years to follow, he worked as chief of staff for former Vice Presidential candidate Geraldine Ferraro at her global consulting firm; as chief of staff at the Rockefeller Foundation; and as director of marketing and communications for the Millennium Promise, an organization focusing on health and development in Africa. 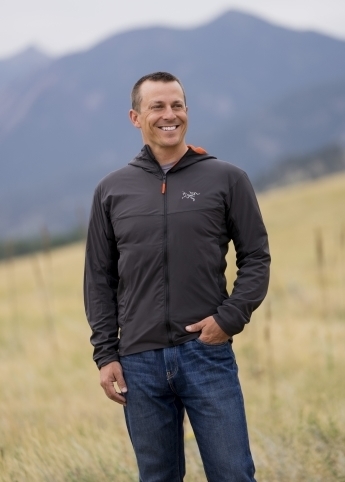 His next step brought him to Boulder in 2012, with former Vice President Al Gore’s Global Climate Change Initiative—and since then, he worked as director of marketing and communications for Naropa University, and as director of public relations for Ball Aerospace. In early September 2017, Rigler was in the middle of a Council campaign based on issues including transportation and mobility, public safety, and community vitality, among others. He noted that, if elected, he would be the first member of TAB to serve on Council for at least the past 20 years, and said he believes it’s important to have a voice on Council with deep understanding of transportation. According to Rigler, the city needs to address severe traffic congestion, with telecommuting and ride sharing among possible solutions. Safety is also a primary concern of his, partially because there have been 60 serious collisions involving cyclists or pedestrians in Boulder within the past year, and survey results show that cyclists don’t always feel safe in town. He also supports addressing regional transportation challenges, and suggested that RTD is not meeting demand for regional transit, including “first and final mile” connections. “This is where I think we need to take matters into our own hands, and partner on a regional basis on transportation, and also look into regional housing plans,” said Rigler. Regarding housing, Rigler is the only candidate in 2017 who is a renter, among the roughly 52 percent of Boulderites who rent—and like basically every candidate said he is completely aware that many people are unable to stay in Boulder due to the high cost of housing. He favors strategies to address affordability such as increasing housing density, offering density bonuses, and exploring city purchases of existing housing stock to keep more units attainable for those who are not wealthy. He also supports allowing buildings “marginally taller” than Boulder’s current height limits in “very select areas,” and only where there is agreement that taller buildings would be appropriate. “I think we need to be very open to discussions about how we can ensure density and give more middle-income professionals and young families the opportunity to be able to live here, and the reality is we’re not going to be able to do that by building out. At some level we need to build up,” said Rigler. However, he emphasized that he favors “smart growth” as opposed to unchecked growth, with decisions to be made in accordance with the city’s environmental values, affordability goals, livability standards, and aesthetic considerations such as creative architecture and attractive design. According to Rigler, it’s important to be sensitive to density concerns within existing neighborhoods, and he favors open and transparent planning processes such as subcommunity planning. Like several other candidates, Rigler said he no longer supports Boulder’s effort to establish a municipal electric utility, although he once did. He said there is too much uncertainty about the cost of municipalizing and the timetable for establishing the muni. Rigler added that focus on the muni going forward could sap resources from other city needs, such as resilience programs to deal with the impacts of climate change, solar gardens, electric vehicle charging stations, or investments in broadband to help make telecommuting more feasible for those who might otherwise drive to work. As mentioned above, Rigler has held a number of positions in the field of communications, and naturally believes excellent communication is essential in the pursuit of top-notch policy. As a member of the Marijuana Advisory Panel, he worked with a diverse group of stakeholders – including representatives from CU-Boulder, Boulder County, Boulder Valley School District, the State of Colorado, and marijuana patient advocates—to talk collaboratively about their challenge of addressing strict local pot laws that Rigler said left Boulder’s businesses at a competitive disadvantage. Also, he is fully aware that Boulder’s Public Participation Working Group found that many Boulderites don’t believe the local government is responsive and don’t believe it communicates effectively, and this is a situation Rigler hopes to improve upon if elected to Council. “I think that with my background, I’m in a better position to identify these new and unique tools, or help Council keep pace with tech developments, so we can more effectively have two-way and broad community engagement with the people we represent,” said Rigler. Rigler is one of the five candidates endorsed by Open Boulder, Better Boulder, and Engage Boulder. As of Sept. 26, Rigler has received $100 maximum contributions from current Council member Bob Yates; and former Council members KC Becker, George Karakehian, Richard Polk, and Gary Myre.